Wayward Girls' Crafts here! 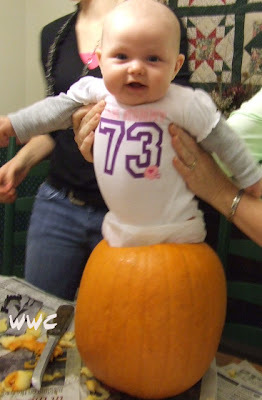 The Wayward girls have a strong tradition of carving pumpkins. After lining the dining room table with newspaper, we'd all get to work gutting and carving! 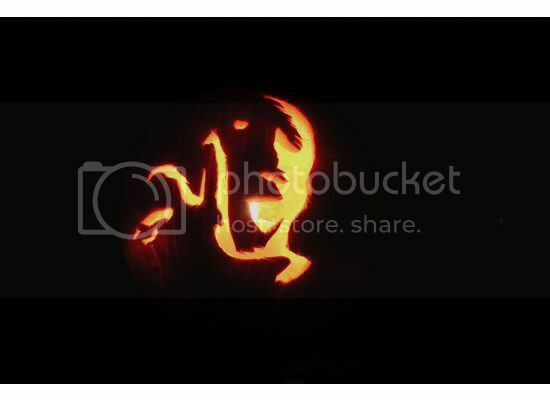 We've shared some of our pumpkin designs and thought we'd give you a few ideas since it's that time again! 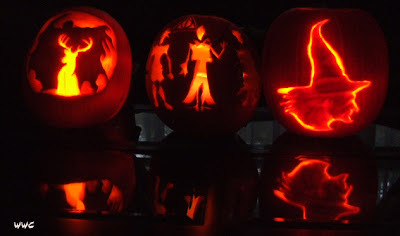 Jasmine, Brooke and her husband carved these bad boys as an homage to Harry Potter. A dementor and patronus, the three brothers, and a witch. Jaime and her husband are also HP fans. Here's what her husband carved. Jordan's son (5 at the time) designed and husband cut this cutie!